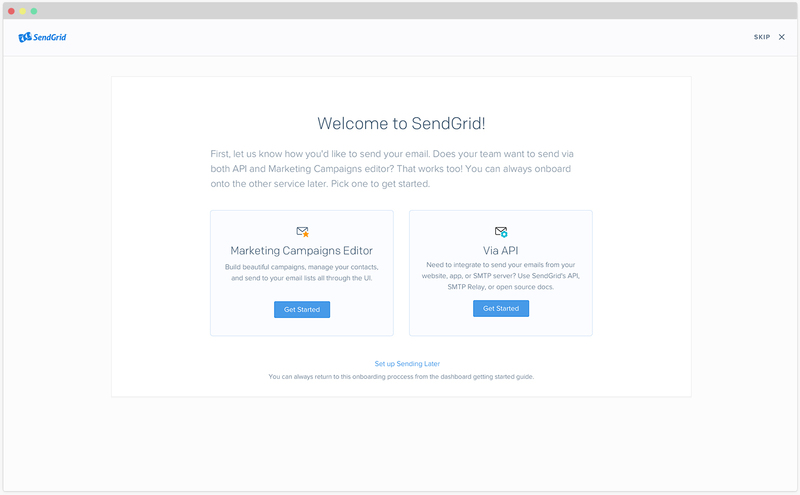 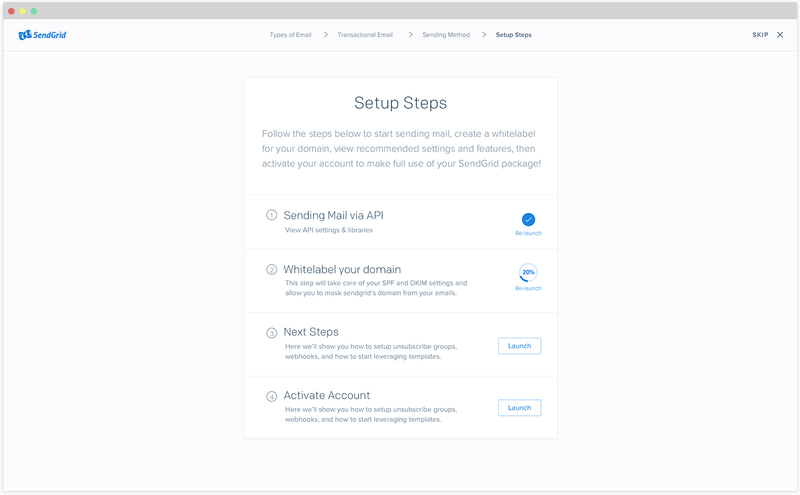 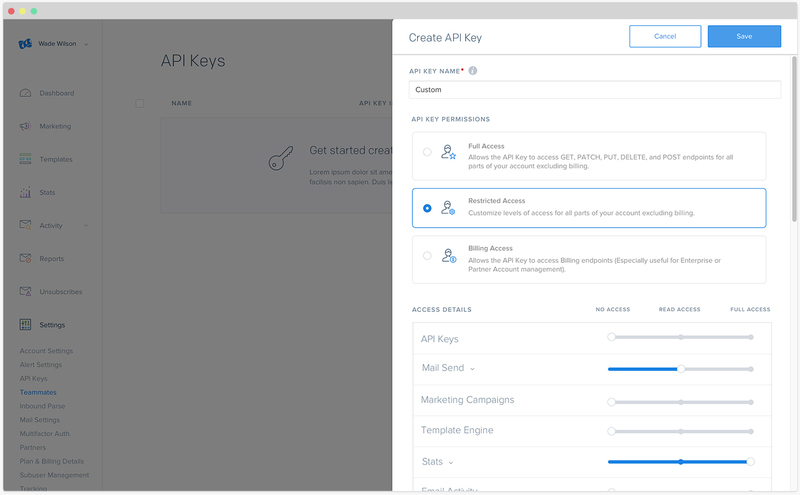 As SendGrid, an email SaaS product primarily geared towards developers, started to also market towards other audiences, they found that the usability and friendliness of their product could use improvement. 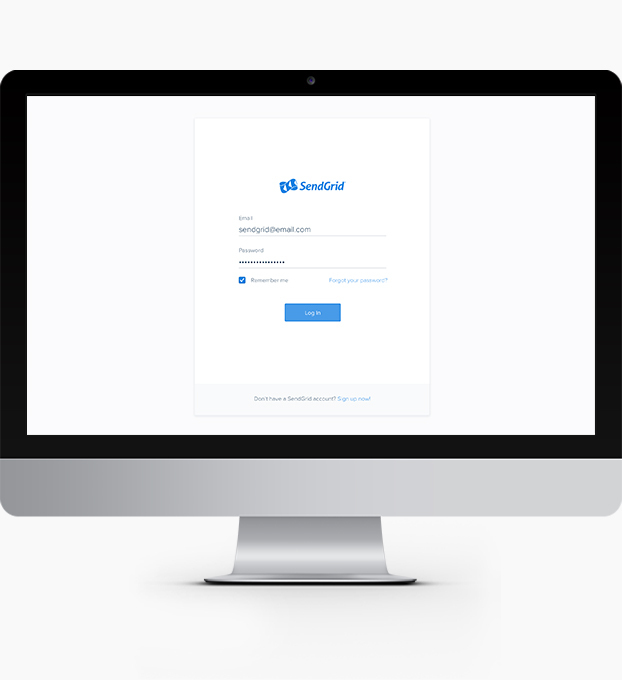 One of the biggest draws of SendGrid to it’s clients is the ability to set it and forget, so at my time at SendGrid I primarily focused on improvements in the usability and user experience of various set up components, as well as on-boarding to the platform. 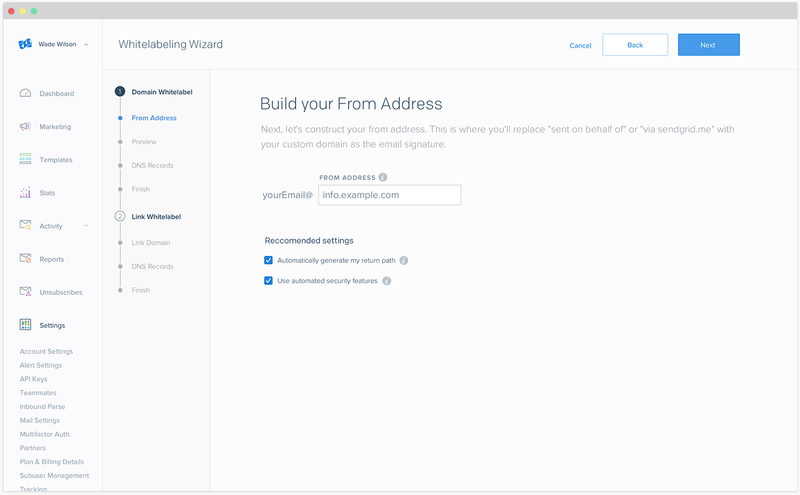 These design examples show some of the fruits of various validation and usability customer interviews, story mapping sessions, and internal style guide building and refining.